In a picture with a 7’1” Shaq on Carson’s Instagram.. Carson states he is 6’2”. I met him in '99 in NYC during his MTV TRL days and him and I were almost the exact same height, Carson being slightly taller than me. I'm 184cms (6'0.5) and I shook his hand after the taping of his show and we were eye to eye. Rob is spot on! Tonight on SNL 40th Red Carpet Special he interviewed Will Farrell and looked only 1/2 inch shorter than Will. They were head to head so the comparison was matched. Depending on footwear of course. 6'0"-6'1". He shouldn't be more than 6'1". Heard him describe himself as 6'3 back on his old talk show. I know closer to 6'1 is more like it. 6'1 is accurate and probably his maximum. Here with 6f5 Blake and 5f11 Adam Levine. If tom welling is 189, then carson looks 6ft tops! Carson is max 5'11.5 to 6'0 flat, and he wears lifts too. i made a cap from the show next to Angelina Jolie (in heels) and then while trying to show his leg tatoo....check his shoes!! a downgrade is in order. Rob could Daly be over 6ft1? I thought you said he was 6 feet? I used to think he was 5ft11 or 6ft tops. But I then realised that a lot of the guests he's had on TRL over the years have been very tall so he may be perceived as being under 6ft1. Aswell, I'm always interested on Rob's opinion because he more than anyone on the site knows height best. He had David Spade by around 8" in Joe Dirt. So, 6'1" is probably right. If anything, he's taller than that. So you were standing 6-4 in boots yet Derek was 2 inches taller? Man, You might think Im 7-0 If we met. Jeter is around 6-2. Mike Shinonda was on Last Call last week. He's listed as 6' and Carson looked several inches taller than him. I'd say he's a good 6'2". So glenn how tall do you think Carson Daly was in person? no.close.we all know each other.or did.this one was heavy set with jeter.the skinny one has back and knee problems that make him look shorter. Glenn is this 6ft1.5 friend the same friend you say can look 5ft11.5? he was taller than my 6-1.5 friend by at least an inch.nothing is accurate. Glenn- did you really measure Derek Jeter?? there's no way A-rod is 6'3 more like 6'1.5, and for Jeter a solid 6'2 seems right. As for Daly he's a 6'1 guy for sure. He's quite broad. That's what joseph means when he calls him a big guy. He's obviously pretty tall, but I wouldn't call him a "big guy", at least not anymore. saw a rerun of George Forman on Carson daily show . Looked the same height and infact . George Said "I thought you were a little guy" Carson said "i bet"
I was checking out the TRL finale and Carson was a litte shorter than Damien who looks a legit 6'2. Carson looked 6'1 next to him. Also Justin Timberlake looked about almost or about the same as Carson as well. Carson looked 6ft2ish the other day on TRL. i measured derek myself.he is 6-3. I think A-rod could be 6-1 1/2 or a weak 6-2 possibly. Also A-Rod and Jeter are both listed at 6'3. So A-Rod at 6'1 and Jeter at 6'2 you think would be most accurate? I use to think 6'2 for Carson back then. He looks 6'1 in general and does look it with A-Rod who is at least 6'1 himself. Hes not 6-2. But that picture is great evidence of Carson being 6-1. He looks the same height or marginally taller than Alex Rodriguez who is between 6-1 and 6-2 himself. Thats about right Spoencer. A-rod at 6-1 1/2 and Giambi at 6-1. He came across being taller when he was on TRL. He was taller than at least 90% of his guests on the show and the fans too. 6'0 is the absolute lowest I could go for him but I think more 6'1 is right. 6'2 is too much for him. Footballed, Id bet a lot of money against you that Carson is no taller than 6-0 actually. "Jeter was a close friend of mine.I ACTUALLY MEASURED him and another friend to see who was taller.Jeter is 6-3!" Yeah right...and my name is Humpty-Dumpty. If Jeter is 6"3, then baseball is LOADED with giants. I stood next to and shook jeters hand. Im 6'3.5 and I towerd over him. A- rod is listed at 6'3 also and when they are next to eachother A-rod is clearly taller. Id say jeter is about 6'1.5 no way any taller. But, Johnny is listed at 6ft 0.5in, here. He does look 6'1 to me though. Jeter looked 2 inches shorter than 6-4 Cal. Going by that transitive property Carson is 6-0 max. I thought Strawberry was a legit 6-6. I know his son is listed at 6-5. Canstop Jeter is taller than Alex Rodriguex who is 186-187. Carson was taller than a lot of his musical guests like J-Dog says and he was taller than many of the fans on the show too. If Carson is 5'11-6'0 then he's one of the taller 5'11-6'0 guys I've seen. Looks like a 6'1 guy to me. yeah,6-3 barefoot.my other friend is 6-1.5 and Jeter was over an taller,so it made sense. Did he have his shoes on Glenn?? I guess I could buy Jeter at 6-3, though he never looks it to me. I know A-rod is shorter then him. Jeter was a close friend of mine.I ACTUALLY MEASURED him and another friend to see who was taller.Jeter is 6-3! Jeter is 6-2 Max J-dog. "I think Jeter's real height is closer to 6-1, so that would make Daly about 5-11 in that photo." Come on, isn't that a little irrational? There is no way that Jeter is only 6'1" and there is no proof at all of this, in fact the evidence points to yes. 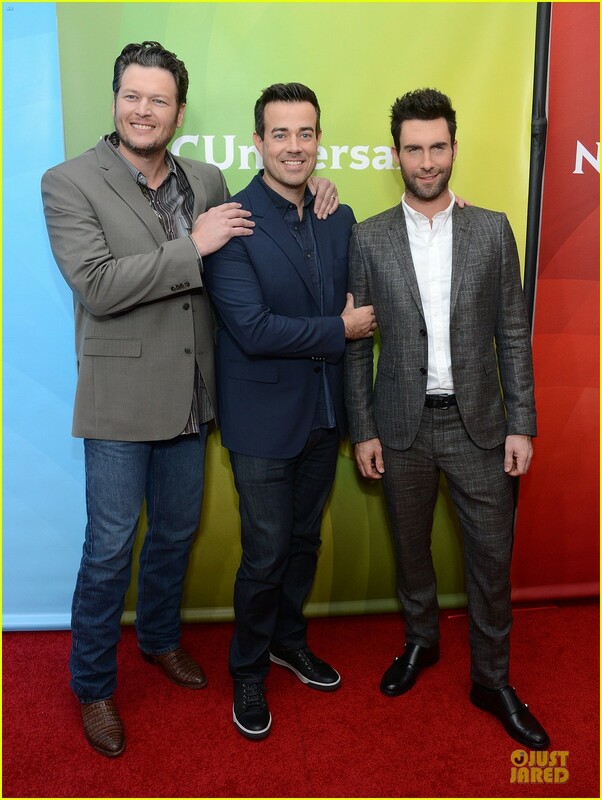 Carson Daly can't be only 5'11" of else he wouldn't have towered over many of his musical guests. Hey Rob I think you have a mistake, I think you mean 6'3" Derek Jeter not 6'. MD, I agree that Carson is in betweeen 5-11 and 6-0. This guy I always thought was 6'2. He looked it when I saw him on TRL in the past. Maybe he looked taller since he was around younger kids a lot on the show. 6'1 I'd estimate him. i guess i thought carson daly was 5'10" at first but i have to say hes 6'1" like most ppl would say! I just saw him on the Tonight Show with Jay Leno (12/21/2005), and he was at the very most 1.5" taller than Jay Leno, no joke. Even giving Leno 5'11" in shoes there is no way he is 6'1" I still suspect this guy is no more than 6' and probably more around the 5'11" mark barefoot. I think the reason so many think he's so tall because his former audience was made up of teenagers he usually toward over. Jeter is 6-2. You can see him stand next to 6-3 Fred Mcgriff on his website and he looks an inch shorter. Daly is considerably shorter then 6-2. Jeter is 6'2-6'3.. may want to correct that up at the town of the page. I think their is some implicit and explicit evidence to suggest that Paul Walker may infact actually be a legitimate 6'2". The explicit evidence being that in every picture or scene he is in with Tyrese he towers over him. Yes Tyrese is not a legitimate 6 footer, but I doubt he is 5'8" either making him avg height. The implicit evidence to suggest he is a legitimate 6'2" is his footwear. In a world of Hollywood where every wears boots with lifts because they are sensitive about their heights Paul Walker wear Chuck Taylor's which give practically no height advantage. That would put Daly at 6 foot even since Walker is no more then 6-1.5, If that. If Daly is 6'3 then Lil Flip is at least 6'3 if not 6'4. Daly is 6'1 at best. I think Jeter's real height is closer to 6-1, so that would make Daly about 5-11 in that photo. I've met Jeter and he's actually a lot skinnier in person than you would expect a baseball to be. That being said, even though he does look sort of lanky he really is no shorter than 6'3", I know nothing about Carson Daly's height, but if he's two inches shorter than Jeter, he's no shorter than 185 cm. Jeter really is around 190-191 cm, he's about 1-2 cms shorter than Alex Rodriguez. I think Carson is about 6'1" cause Derek Jeter is 6'3" and I remember seeing Carson standing next to Tom DeLonge of blink-182 and he is 6'4" and looked about 3 inches shorter. Anonymous, in the link on my comment 13/Feb/05 the second pic, Jeter has a slight lean towards Daly, but in the first there is a solid 2 inches difference to the advantage of Derek Jeter, which is why I have Daly at 185cm. If Jeter is shorter then Daly is closer to 6ft. No, that's more than 1" difference. I'd say he's 6'0".